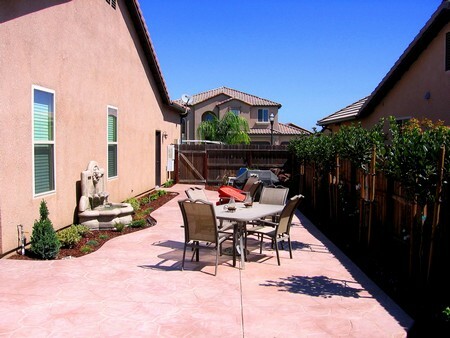 The clients of this new home wanted to take advantage of the afternoon shade in their large sideyard for entertainment space. 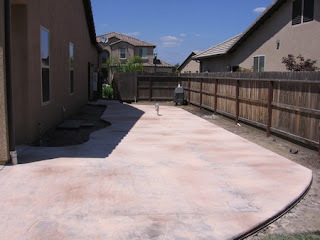 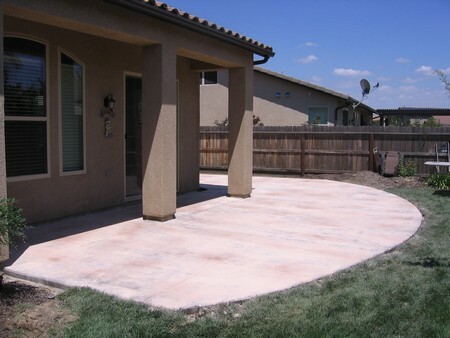 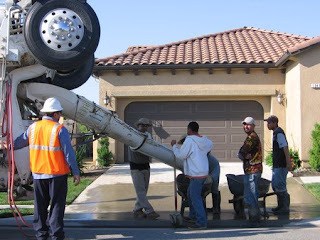 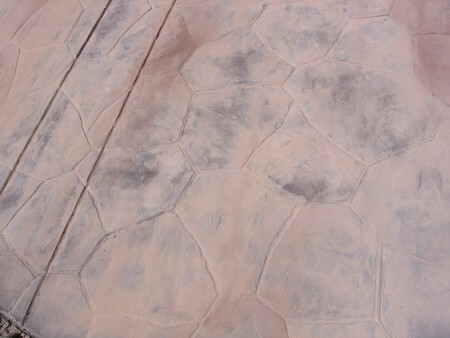 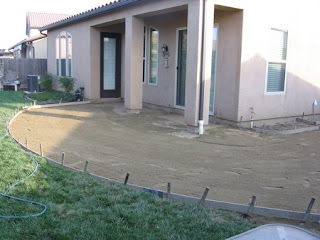 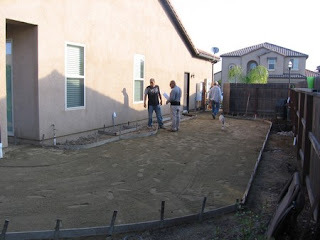 We are removing the existing concrete patio that came with the home, and adding a new stamped, colored concrete patio that extends to the sideyard. We have already plumbed for gas and power for the addition of a custom outdoor kitchen, fountain and low voltage lighting. We will also be adding a gray concrete pad & fence for garbage can storage. 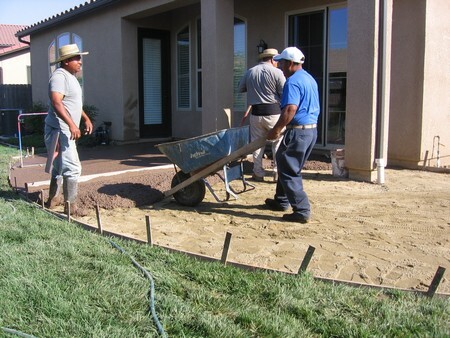 We are installing irrigation, subsurface drainage, soil amendments & plant material.